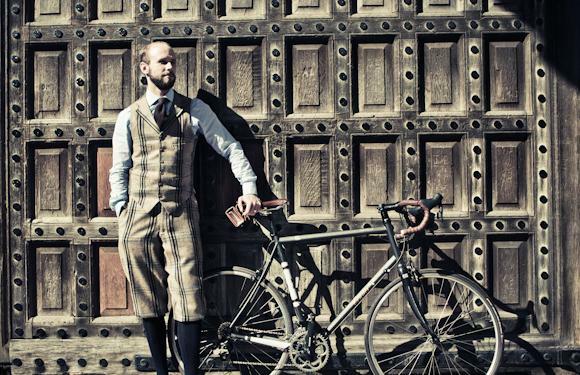 It wasn’t what this shooting suit was designed, cut or bought for, but it turns out the waistcoat and plus-fours are extremely practical for cycling. 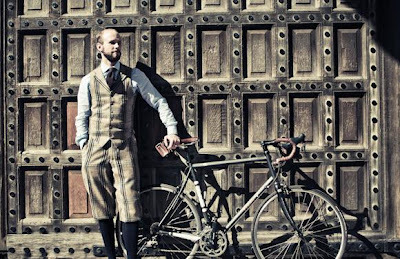 The plus-fours are high enough on the waist to cover the shirting at your back even when riding. 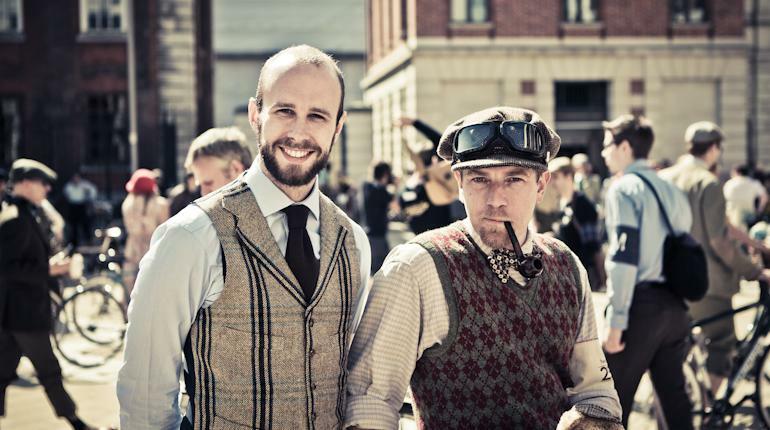 And the suit is rather appropriate, given it was being worn at the annual Tweed Run – sponsored by Huntsman. 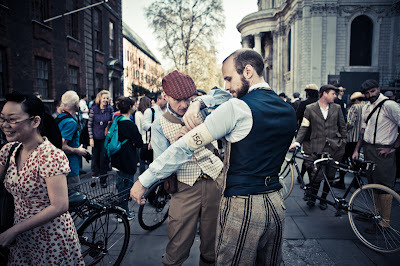 The Tweed Run has been going for three years now and raises money for the charity Bikes4Africa. 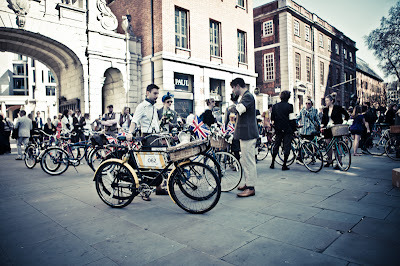 It involves a 10-mile ride through London’s busiest streets, including a saunter down Savile Row and a tea break in Lincoln’s Inn Fields. There are penny farthings, impressive moustaches and an all-pervading atmosphere of British civility. It steps way over the line from style into costume. But there doesn’t mean there weren’t touches of flair in the shooting socks and action backs. Even Ewan McGregor’s pattern matching was pretty good. Photographs are, unsurprisingly, by the wonderful Andy Barnham. Sorry about the last one. He does seem to bring out the poser in me. Shirt, Turnbull & Asser; cashmere tie, Kiton; bike, Condor Fratello with Brooks tape, saddle and saddle bag. You can follow the discussion on Tweed Run 2011, in Huntsman shooting suit by entering your email address in the box below. You will then receive an email every time a new comment is added. These will also contain a link to a page where you can stop the alerts, and remove all of your related data from the site. Monsieur Simon: ce costume est excellent; bien mieux que le costume par A&S. Voyez comment il flatte meme les grosses fesses a vous! Quand vous verrons-nous tir dans le costume? Amazingly I happened to visiting London this weekend and stepped out onto the balcony of 16 St. James’s Square and saw this procession of tweed and cycles. Good show!!! Anon – a member of the East India Club ought to know that it is ‘bikes’ not ‘cycles’. I was observing the Run whilst strolling down Regent Street. Impressive turn out and very brave of you all bearing in mind the heat that day!